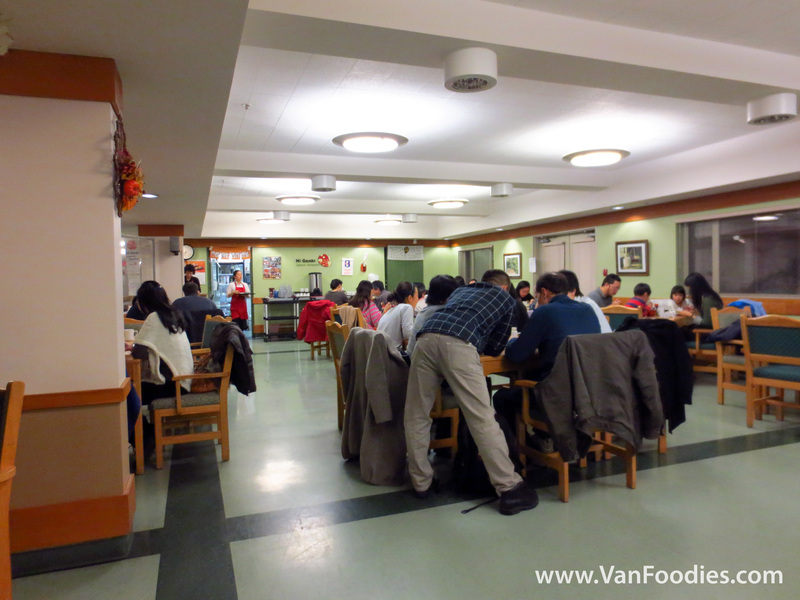 November 26, 2012 by Mr.
Hi Genki is a Japanese restaurant located in the lobby of an old-folks home. It’s not much different than a hospital cafeteria, which is one of the worst possible settings for a restaurant. If that doesn’t surprise you enough already, there’s usually a line waiting to get seats. That’s right: people line up to eat at a retirement home cafeteria. The florescent lighting and the uniform layout give off a sterile look. The daily special is hand written, and photocopied and inserted in every menu. So why do people eat here then? It’s the food, and the value. 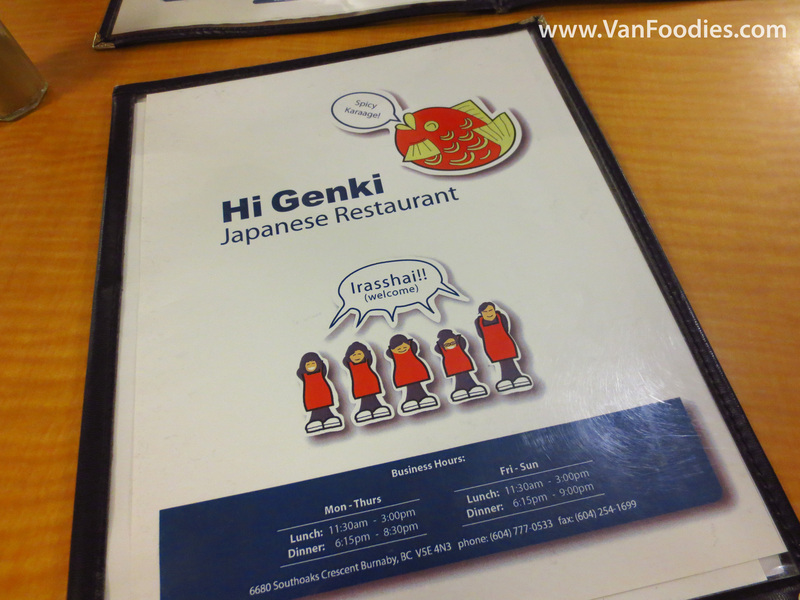 Hi Genki doesn’t serve sushi. It’s an authentic (relatively speaking) Japanese restaurant, primarily serving rice and noodle dishes. 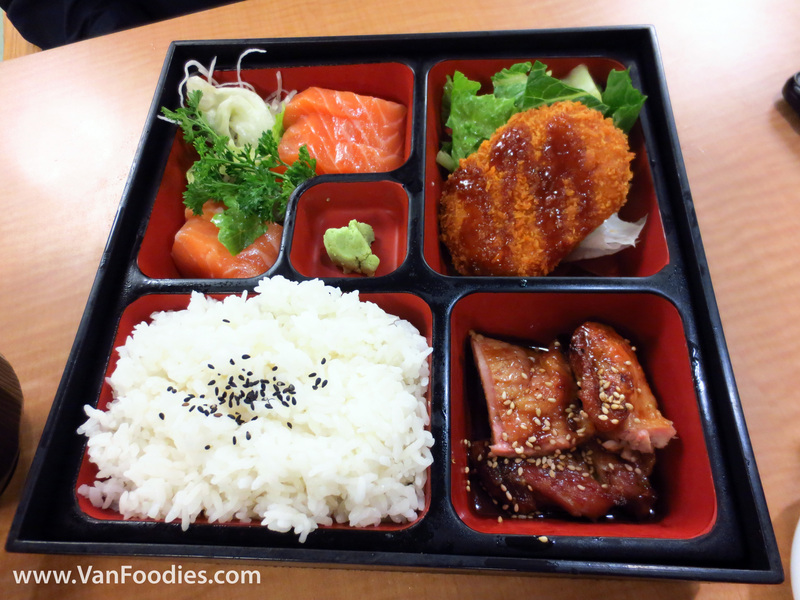 Between the two of us, we had the Spicy Karaage Donburi, the Genki Bento Box, and the Salmon Sashimi. 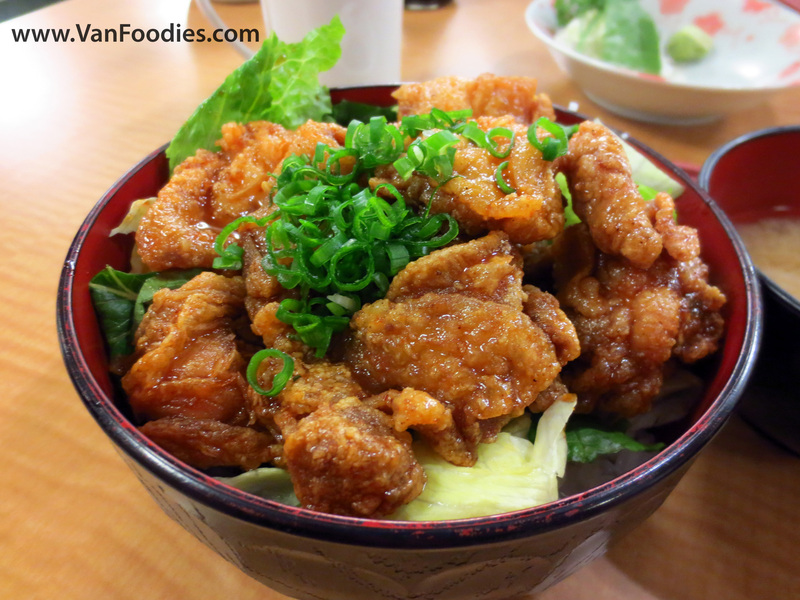 The karaage donburi is deep fried chicken served on rice. The chicken is also tossed in a spicy teriyaki sauce, similar to chicken wings, but boneless. The meat is beautifully moist; using dark meat sure helps. And the sauce is a perfect combination of sweet and spicy. This is one of their most popular dishes, and I could certainly see why. 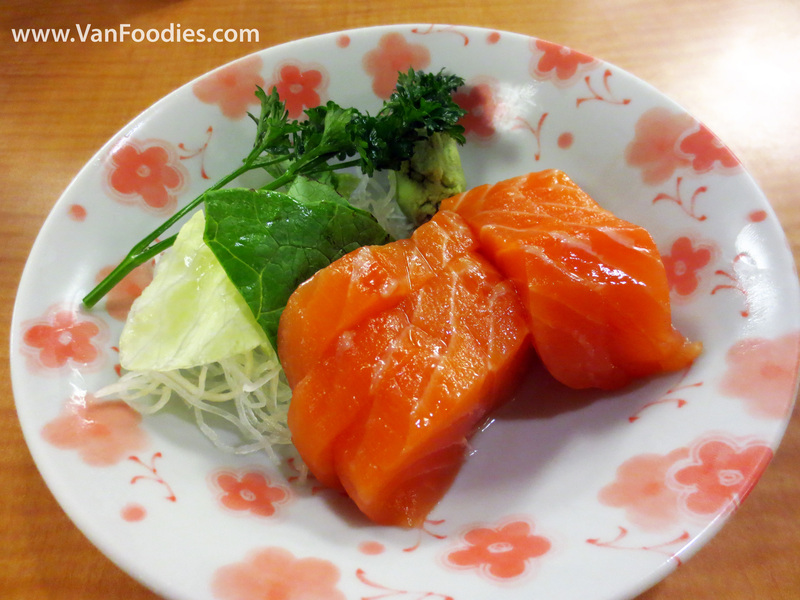 I’m no sashimi connoisseur, but both the salmon on the side and included in the box had great texture and consistency. The pieces are a bit small but they aren’t very expensive either. The box also has a potato croquette, and some teriyaki chicken. The croquette is great. It’s crispy on the outside, soft and well seasoned on the inside. The teriyaki chicken is a bit dry, and could use a little fine tuning. Great bang for the buck is what brings people back into this hospital cafeteria. I’ve visited 3 times and have been a very happy customer all 3 times because of it. For $8 you can grab the karaage donburi and walk out full and satisfied. The servers are friendly and the food comes out pretty quick considering the number of people eating. This is a place I’d visit again. The great food and even better prices are enough for me to get past the look and feel. However it’s probably not a great place to take your date. Just Googled the restaurant and realized that it’s part of the Fujiya family – Now I understand why it has the quality that you wouldn’t expect at a health care facility: http://www.fujiya.ca/aboutFujiya/hiGenkiRestaurant.asp.